Athena wakes up sad because she is very hungry and very grungy. Actually, I believe this goes beyond grungy and well into “someone give that baby a bath” territory. 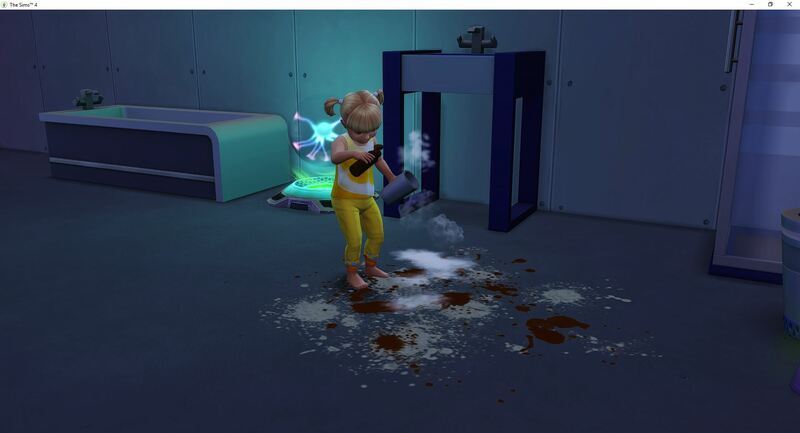 By the time she gets her food and is heading back to her bed to eat it, they have received notification that Cali has died. 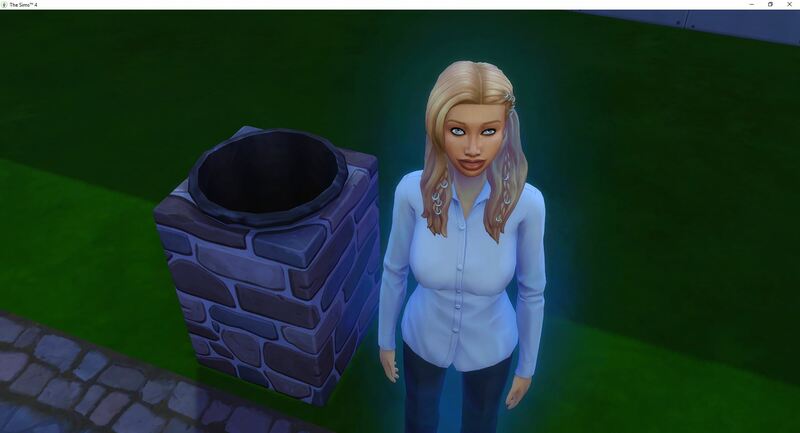 So, now she is also very sad because she is in mourning. The sadness will permeate the household. It will seep into their pores and make everything stink. 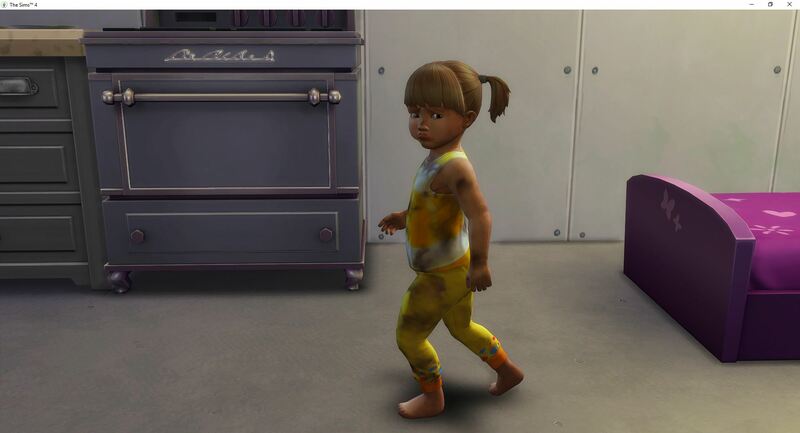 Oh wait, that is still the toddler. Astraea just turned a bright shade of blue upon hearing the news about Cali. 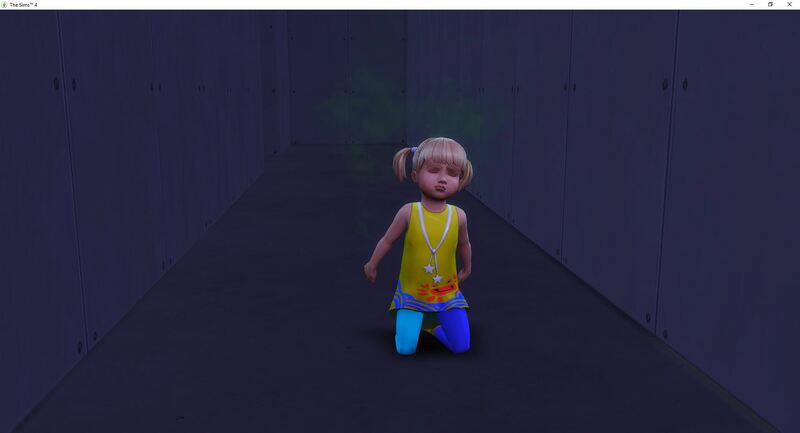 Because of the age difference between Cali and Felix, they should just be getting over the sadness from Cali’s death when they will find out Felix has died. This is going to be a rough week. 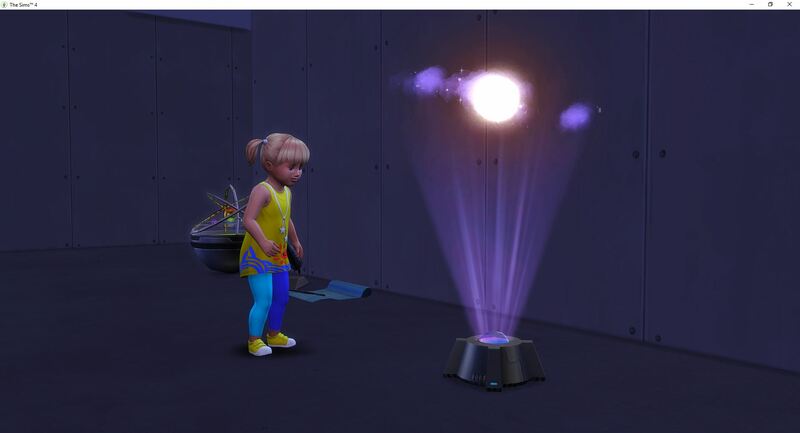 Astraea is back at the wormhole generator trying to make alien contact. She is looking for her soulmate – someone to marry and make babies with. 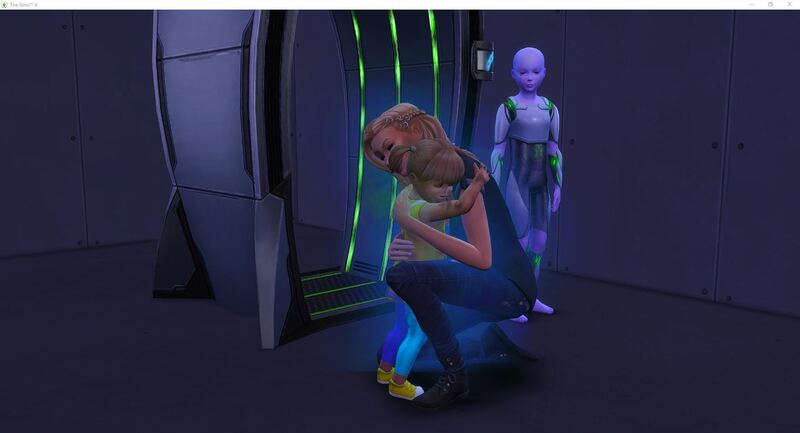 Instead she meets a teen girl. 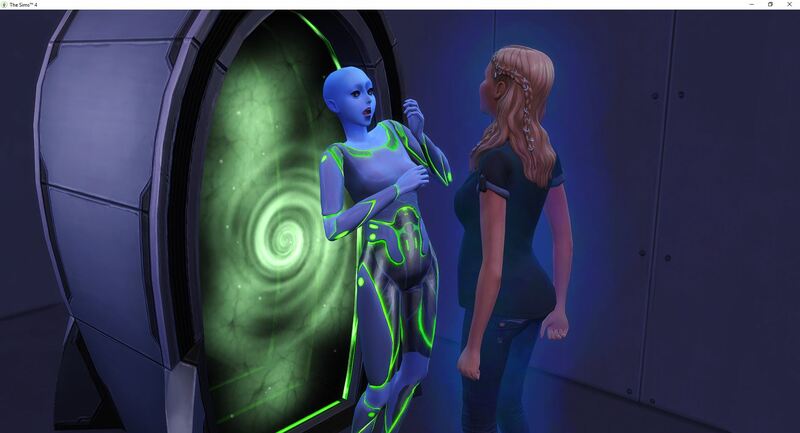 Athena tries to talk to Claire since Astraea is still busy trying to meet aliens. The next to come through is an elderly male. A married, elderly male. Then a male child. This is not working in her favor. 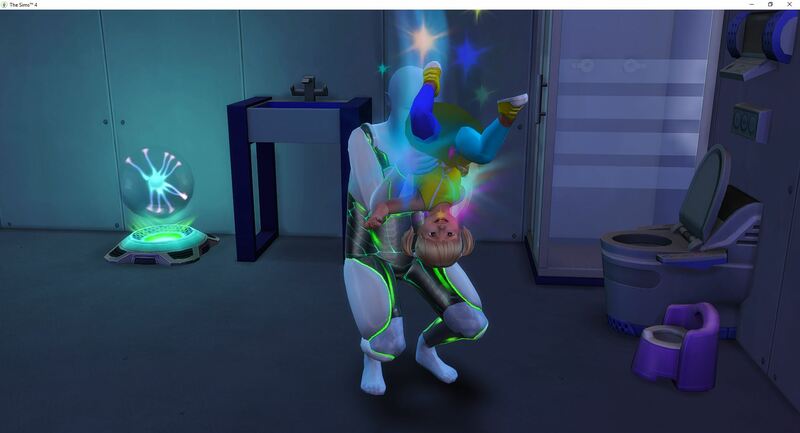 Just to throw a glitch into the game, while aliens are coming through the portal, someone decides to burn up and die down the street. Astraea will have to take the time to walk down there to release her spirit once the dying is done. 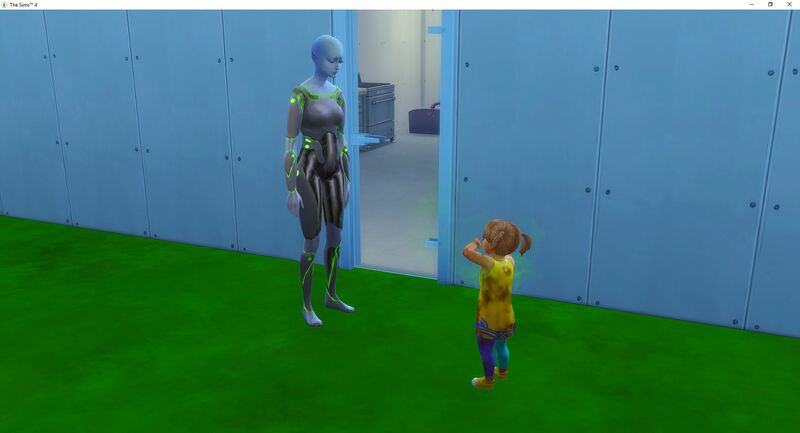 Claire gave up trying to talk to Athena and left her standing outside. Athena just wants a bath. Is that too much to ask? The matching tub is §1,600 and Astraea is being horsey about buying a cheaper tub and then losing the depreciation when she upgrades. Silly, I know. Finally, an adult male comes through. He is a little older than Astraea was hoping for, but he is still viable. She will continue to try for a little while longer, but she will also build a relationship with Jayceon and see what happens. 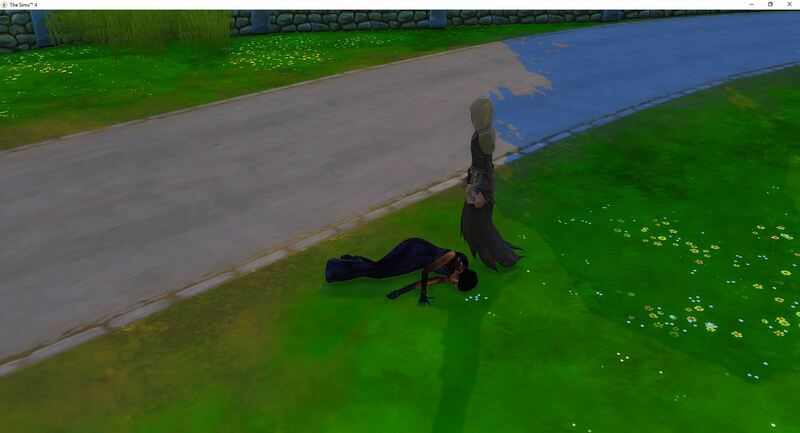 The child is glitched because of the vampire dying and I will have to close the game to get him to reset. Athena really wants someone to pay attention to her so she hijacks Astraea’s attention for a hug. Finally, the death is just about complete. 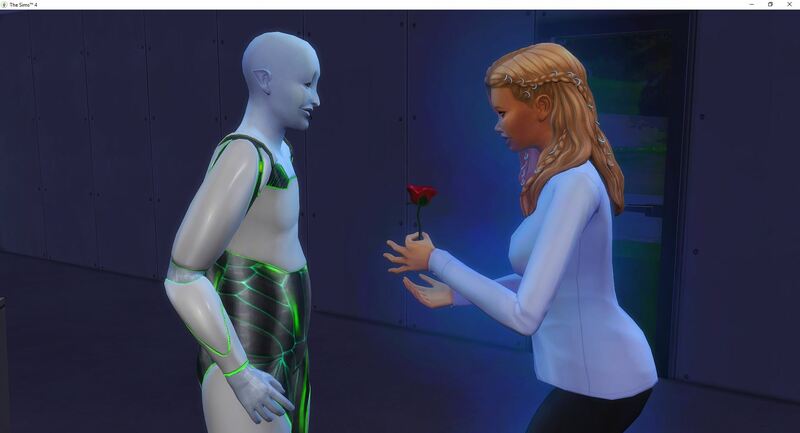 Damn, Grim, get a move on. Astraea is also glitching. 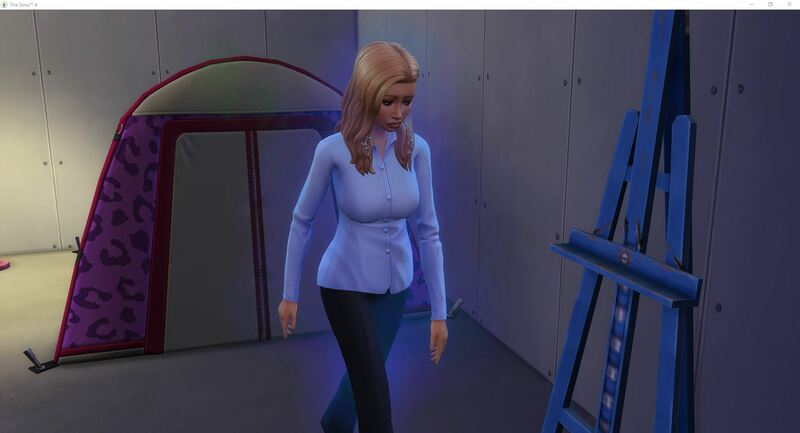 Between every action she tries to walk out to witness the death, then comes back to the portal. But she doesn’t have the action to witness the death. She just makes this huge loop around the house. 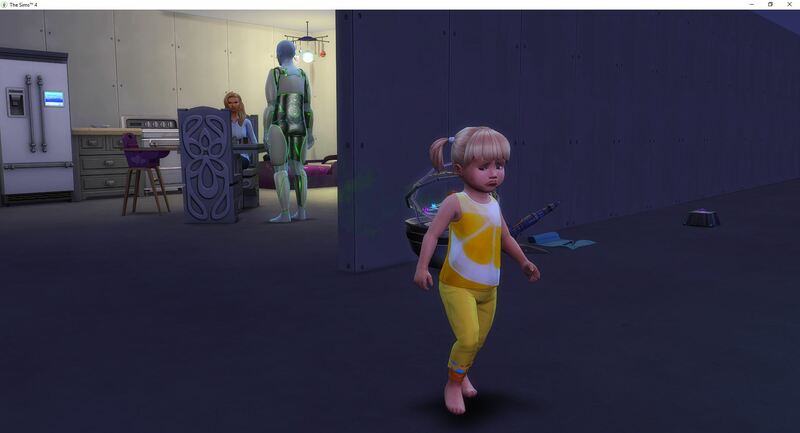 Athena is miserable and the kid is still stuck. Astraea is no longer getting new aliens. 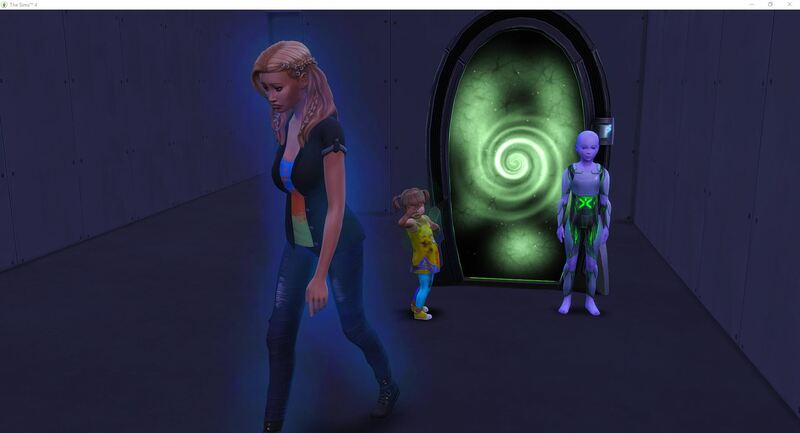 It is time to deal with the vampire and restart the game so the kid will move or go away. While Astraea walks down to where the vampire fried, Athena starts talking to Jayceon. She is hungry and she needs someone to feed her since there aren’t any leftovers in the house. 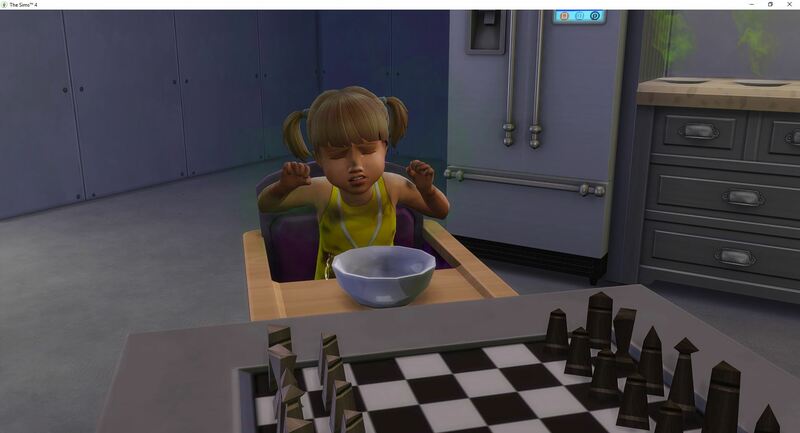 Jayceon does manage to get her into the high chair and fed, and then he leaves. Athena has to wait for Astraea to come home so she can get out. Oh wait, he is still here. No, this is the next day. 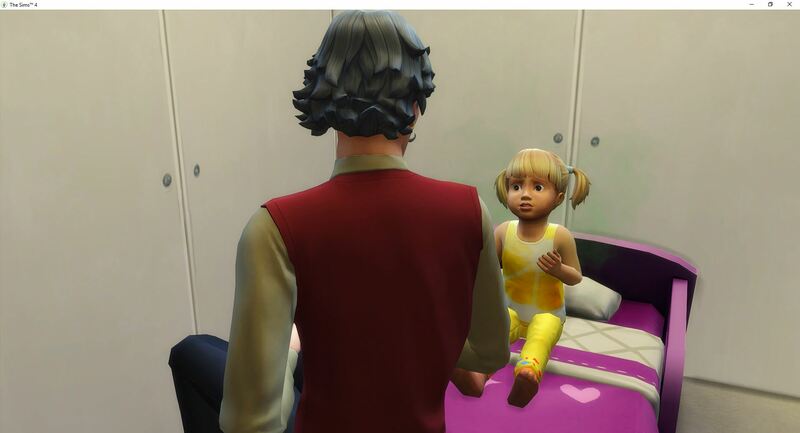 Astraea called him back over before she went to work, so he was here with the nanny. 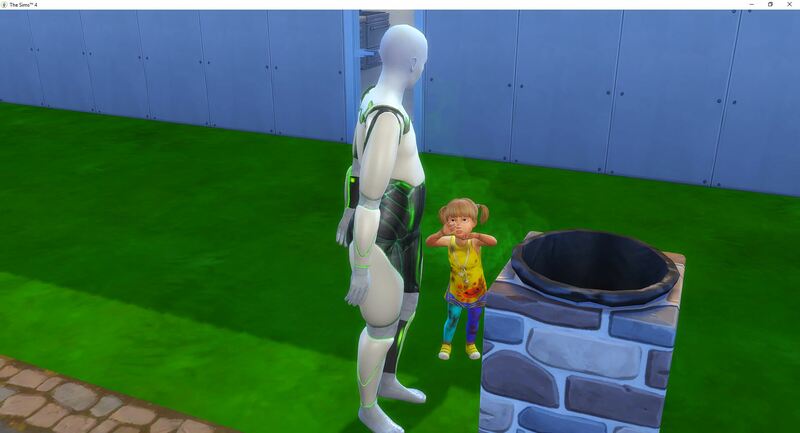 He spent the day with Athena helping her with her skills. They played a lot so Athena could work on movement. 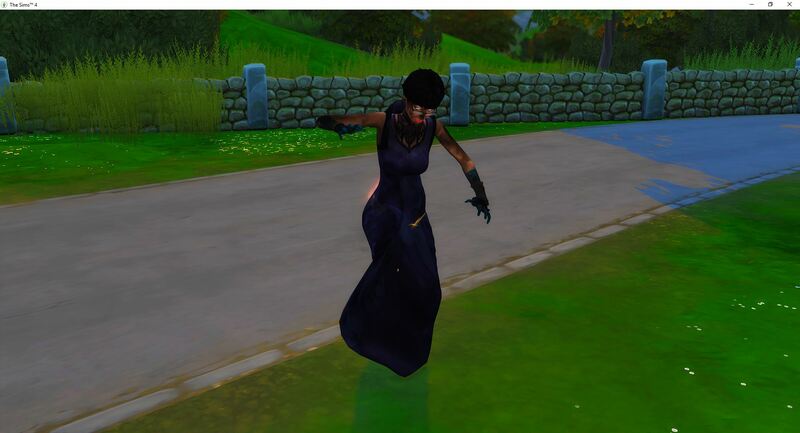 And she maxed out movement. 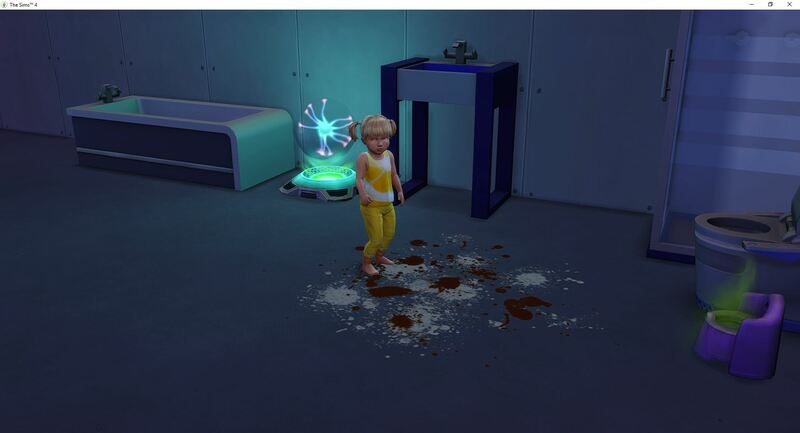 Maybe they played a little too much because she wasn’t able to make it to bed before falling asleep. 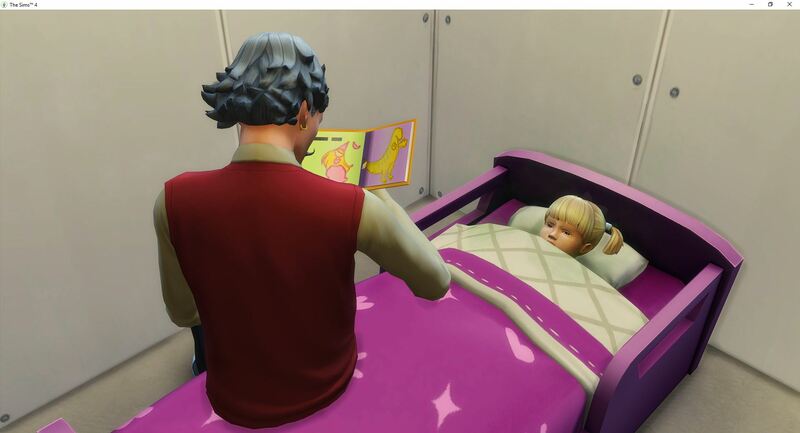 Finally the nanny said enough and put her to bed with a story. This maxed out imagination, and pushed her over the top. 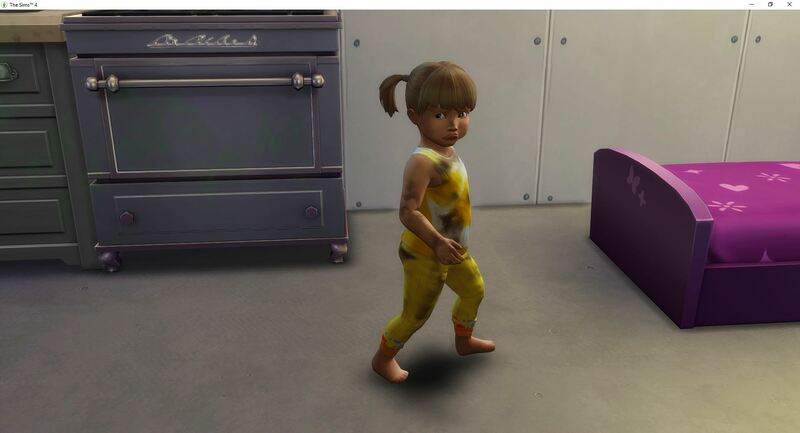 Top-notch toddler, in fact. 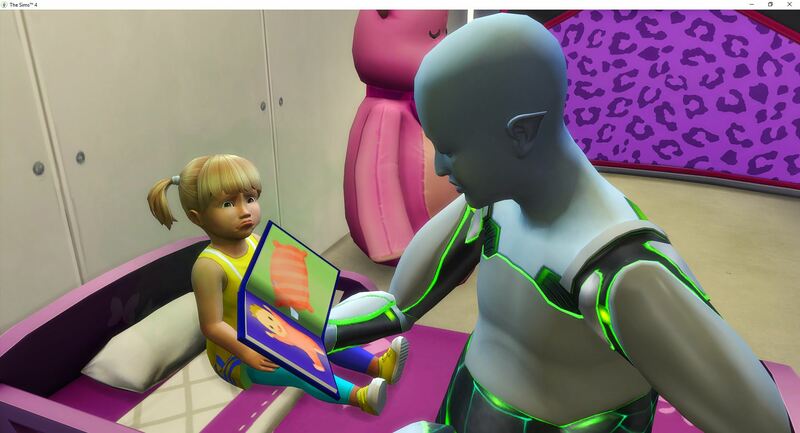 As the nanny was reading Athena to sleep, Astraea came home with another promotion. 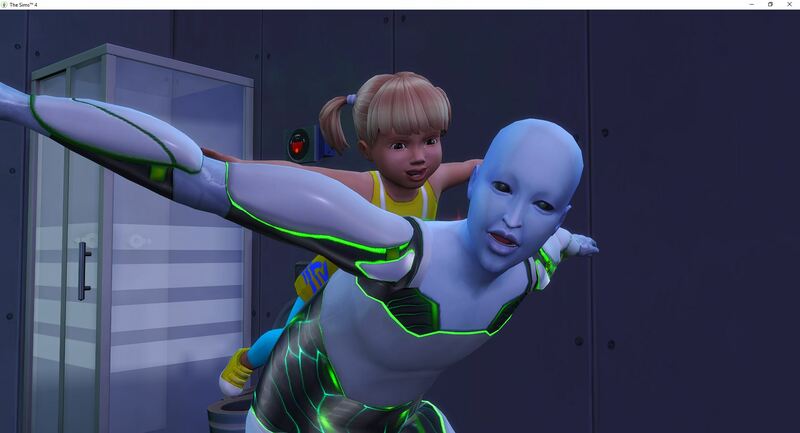 She is now a Low-Orbit Specialist, level 5. With her bonus, the first thing she bought was a bathtub. Athena will be getting a bath the first thing when she wakes up. Astraea realizes Jayceon is still there and it is Love Day, so she gives him a Love Day gift. But they don’t know each other well enough to do much more than that. So they just talk. Athena wakes herself up to go potty, and she is still very sad. She is not enjoying this adventure at all. Astraea and Jayceon stargaze in order to build their friendship. Whatever works. While going potty, Athena realizes there is a tub in the house and she is really excited. 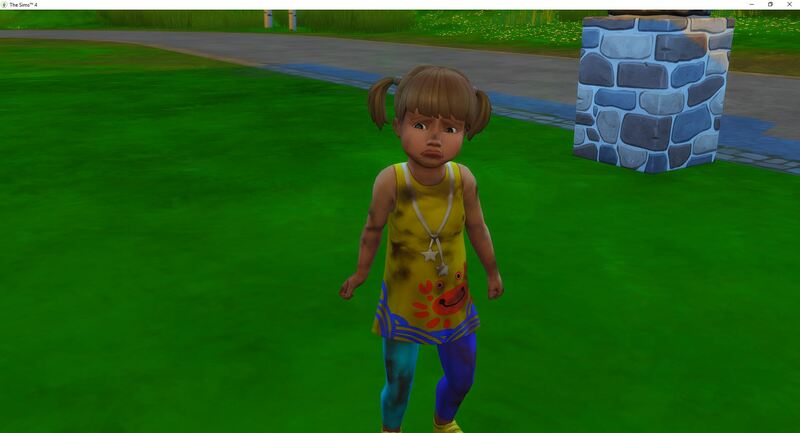 She asks the nanny to pretty please give her a bath. Athena enjoys her bath and there is something to be said about actually being clean. Astraea tries her mind powers on Jayceon. After all, why take the time to learn about each other – that takes too long. 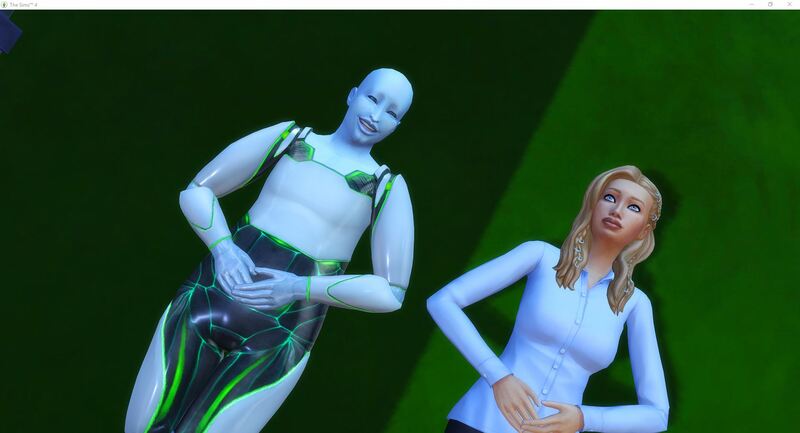 They seem to get along fine, but he rejects most of her romantic actions. Maybe she should take more time to get to know him. She does learn that he is materialistic and erratic. That does explain a lot. 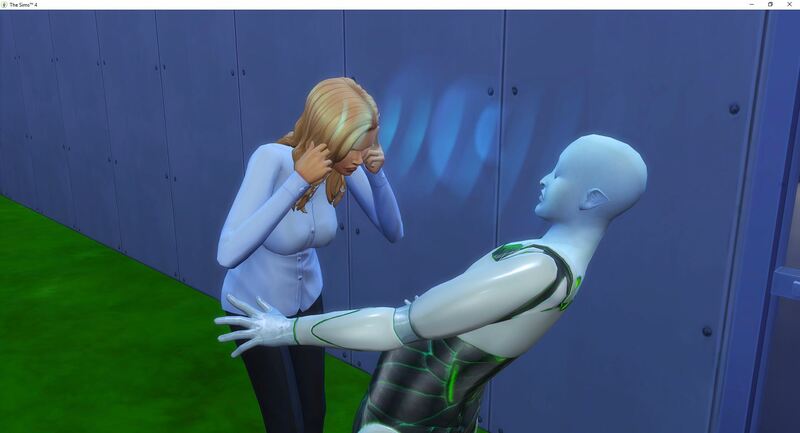 She should probably also take a shower, and maybe not be stinky when she tries to romance him. 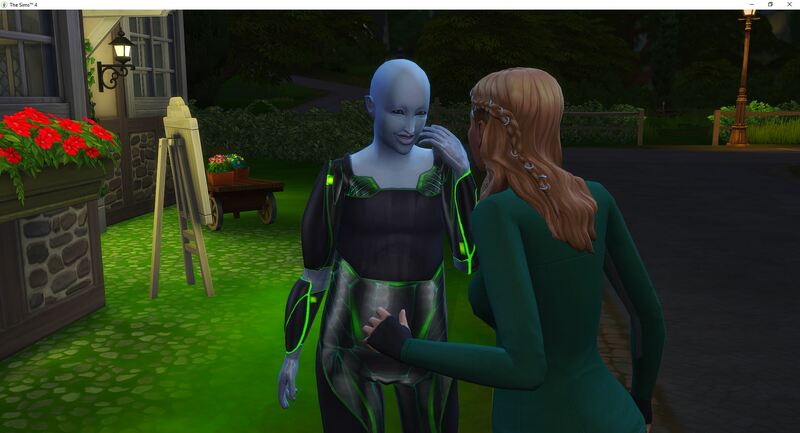 She goes back to trying to contact aliens through the portal and she is back to not having much luck. 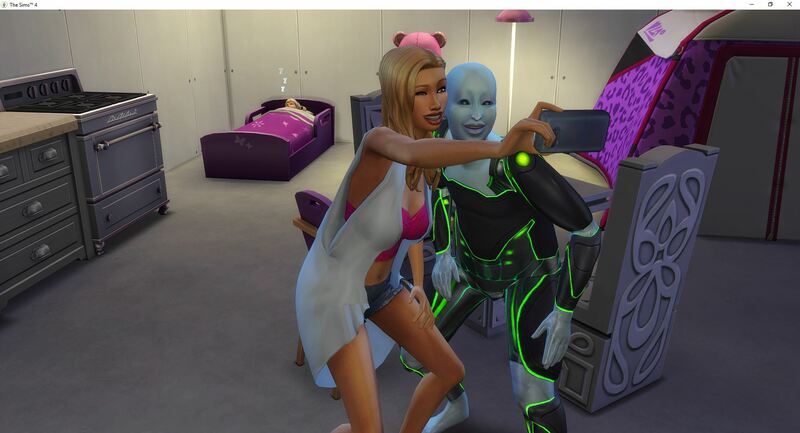 Only the aliens she has already met are coming through. 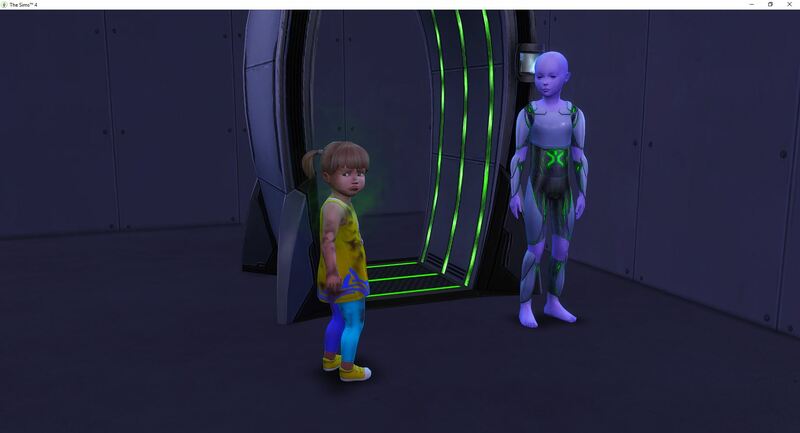 She isn’t sure if they are the only ones that will be allowed to use the portal, or if there will other aliens coming through. Because if not, her options are going to be extremely limited. She also really needs to get some sleep. And then a shower. There are moments, many moments, when Astraea wonders if maybe she shouldn’t have spent all of her money building the shell of the house right at the beginning. Maybe things would have been easier if she would have built it a little at a time. Astraea is still recovering from the hell of the past few days. 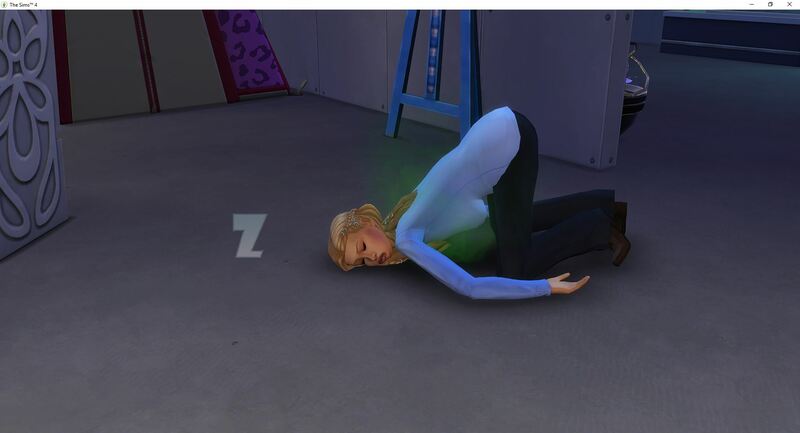 She is slowing recovering. They are just about out of the mourning from Cali, which means it is almost time for Felix to die. 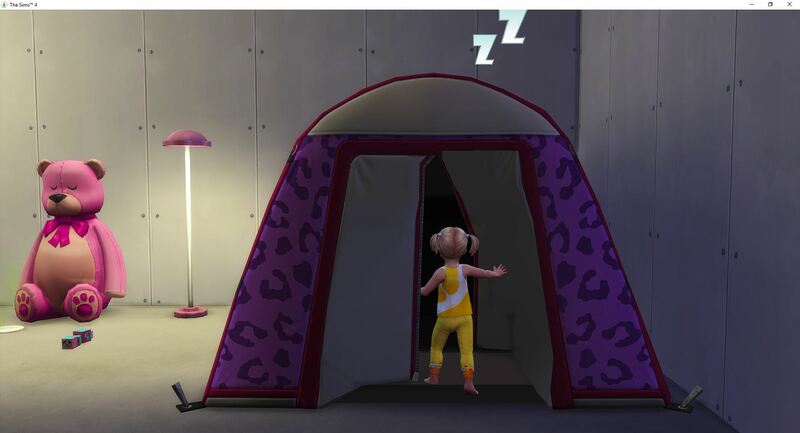 While Astraea sleeps in the tent, Athena goes into the tent three times to cry. 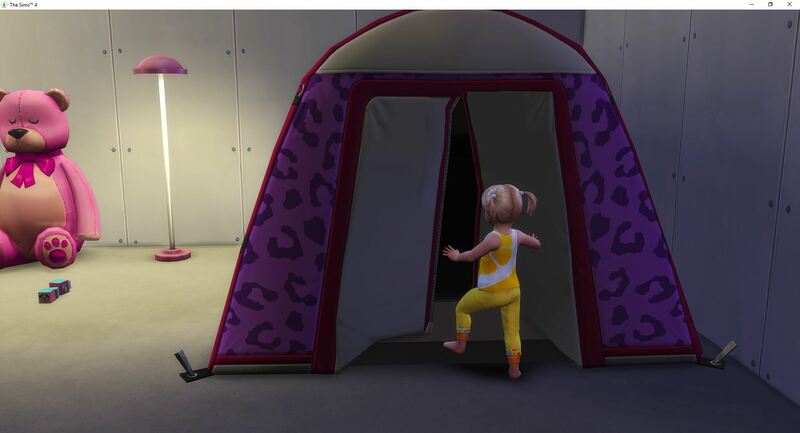 Then the mourning expires and Athena goes into the tent to “relax”. 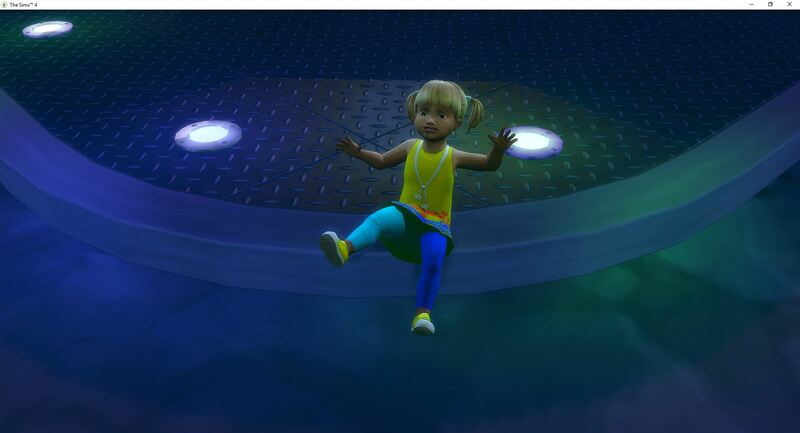 Yeah, since when has a toddler ever “relaxed”. Also, Astraea is still sleeping. Athena is happy now that she is clean. She is bouncing off the walls and enjoying life. It is time for Astraea to get Jayceon into the family. It looks like he is the only option so she makes her choice. She works hard to get him in a good mood and keep him in a good mood. 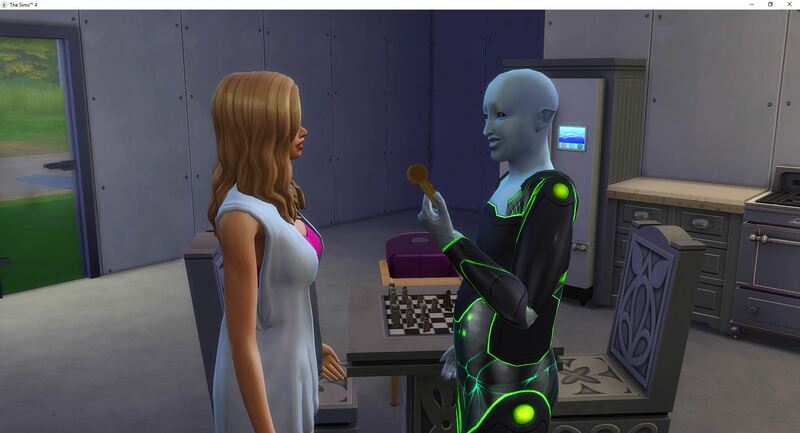 She even gives him a key to the house – but hopefully she can marry him before he has to leave. 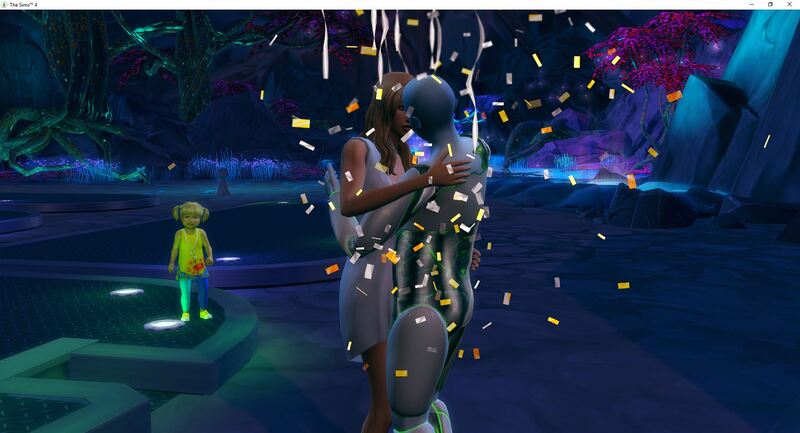 Finally they get far enough along in their romance to have a successful first kiss. This is her third attempt. The other two tries, he got embarrassed and rejected her. Athena was left alone too long while Astraea had to chase down Jayceon as he tried to leave. She didn’t appreciate being scolded either. The good news is Astraea and Jayceon have finally maxed out their relationship and are far enough along that it is time to attempt a proposal. 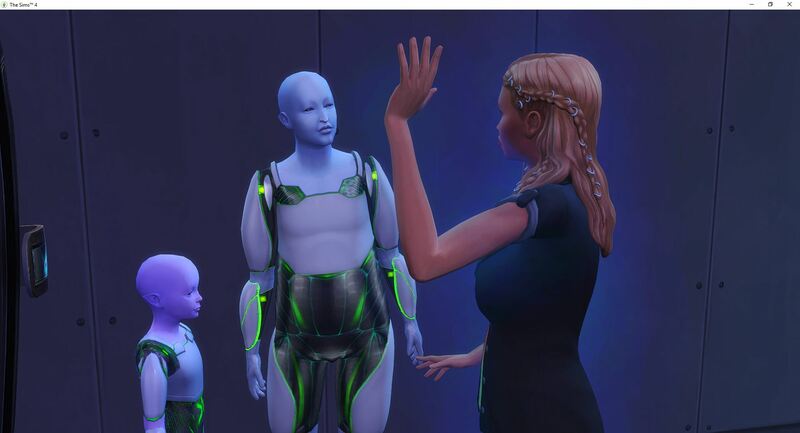 That means they are going to use the wormhole generator to visit Sixam for the first time (+points) so that Astraea can propose to an alien while on Sixam (optional mission objective). While Athena is running around, Astraea goes all in and makes her proposal. And, wishy-washy accepts the proposal. He finally understands his fate. Athena is having fun running around, up and down, up and down. But now it is time for an elopement, because there isn’t any time to waste. Jayceon is already an adult. Athena comes back to watch them take their vows. Welcome to the family, Jayceon Song. This is the first time I have earned this achievement. 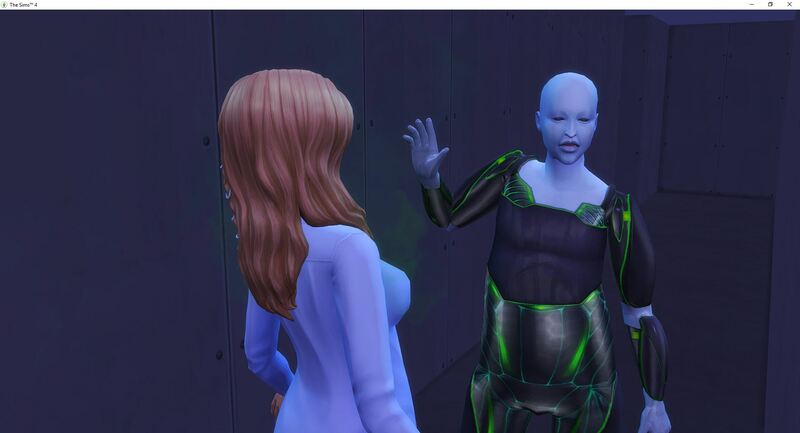 Apparently despite using her powers on Jayceon several times and doing the secret alien handshake several times, Jayceon never figured out Astraea is an alien also.